There is no country on earth quite like Ireland. Filled with culture, landscape, history, and home to the largest collection of world-class golf courses and resorts. From the famous links courses to historic castles and local courses designed by legends of the game - travel with Sports Traveler to experience Ireland and all it's majesty. Let us do the driving on the roads and you do the driving on the course! Our all-inclusive Golf Ireland travel packages include airfare from the United States or your origin country into the major transportation hubs of Shannon, Dublin, or Belfast. Hotel accommodations are available at various golf resorts and hotels across the countries of Ireland and Northern Ireland. Packages are fully escorted with guides in private mini-coaches or cars or we can create a 'you-drive' package. The official currency of Ireland is the Euro and of Northern Ireland is the Sterling (British Pound). There is an open border between the countries. Casual player? High level player? Tee-times are available from May until October for most courses. Most Links Courses do have handicap requirements, however there are plenty of top courses available for recreational golfers of all levels. Golf Northern Ireland's top courses on this all-inclusive, guided golf trip. Tee times at The Royal County Down, recently voted the #1 Course in the World, plus play Ardglass, the Royal Portrush, and Castlerock courses. Enjoy 4-star lodging and private transportation daily to your tee-times. Guided by locals, this is the ultimate Northern Ireland golf experience! Golf Ireland's most exceptional courses located in the southwest region of the island. This all-inclusive golf package includes your tee times at courses including Waterville, Ballybunion - Old Course and Cashen, Old Head of Kinsale, and Tralee, plus 4-star accommodations in the heart of Killarney! 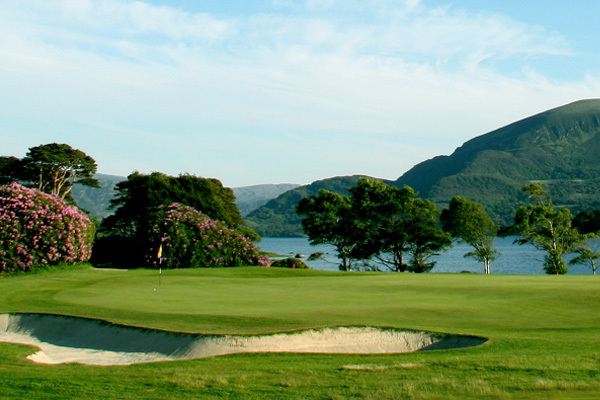 Enjoy private luxury transportation to and from the course on your golf outing days and the Irish spirit of the charming town of Killarney in the evenings. This Irish Golf package is guided by locals and provides exceptional on-site service and is inclusive of breakfast daily and three dinners. 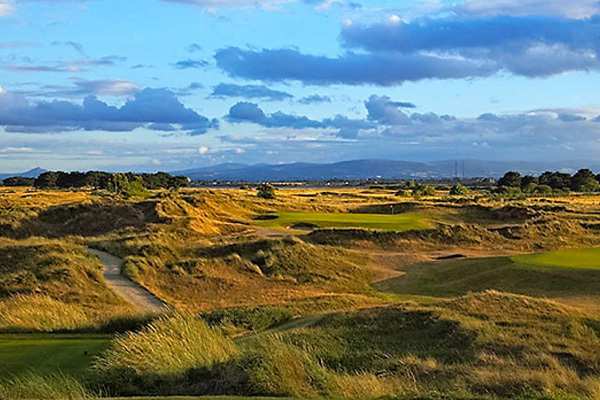 Visit Dublin, Ireland and play the area's top courses. Our all-inclusive golf packages include tee times at the most coveted courses in the region including Portmarnock Links and the Championship Course, plus Baltray County Louth course, the Royal Dublin and more. Enjoy 7 nights 4-star lodging in the heart of Dublin with transportation included throughout the tour. Voted the #1 Ireland Golf Course by Golf.com! 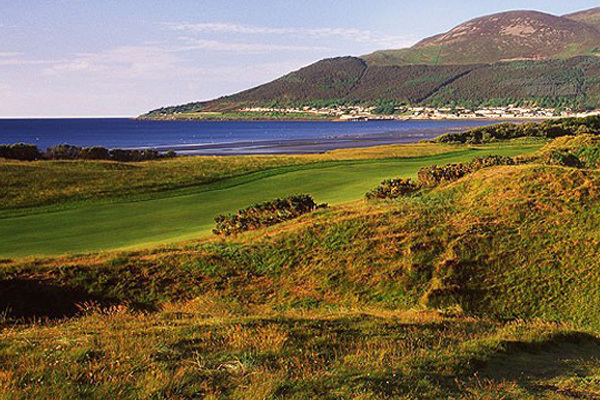 Royal County Down Golf Course is located in Northern Ireland along the Irish Sea. The course features breathtaking views of both the sea and the Mourne Mountains and has two challenging courses - The Championship Links and Annesley Links. 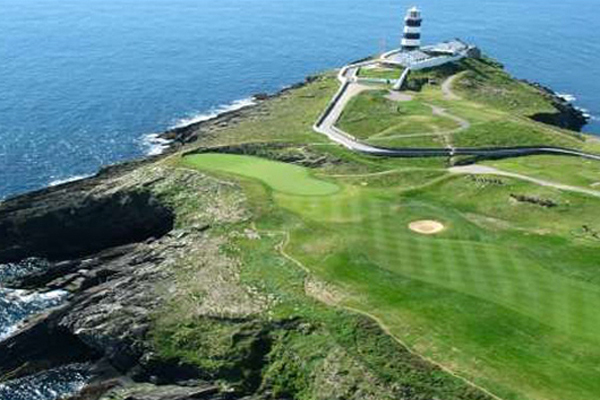 Old Head is one of Irelands newest links courses only opening for play in 1997. Its lack of history soon disappears into insignificance once you first gaze upon the dramatic diamond shaped peninsula, which exudes golfing pedigree. The course occupies 180 acres of breathtaking coastline with unspoiled cliffs surrounding the course on three sides. The course has five par 5’s, five par 3’s and eight par 4’s, nine of which run directly along the cliff tops. Old Head is one of the worlds most talked about courses and certainly has a valid claim as one of the most memorable. Updated by Tom Watson, it is said that after playing Ballybunion for the first time, man would think the game originated here. A true seaside links course, virtually treeless and a course of sharp contours, Ballybunion is located on the Shannon Estuary. Although the course appears very intimidating it is extremely fair. It is not a course that will favor one particular type of player, but will reward all for good play. A visit to Waterville Golf Club takes the player back in time to the beginning of the history of golf - this club was founded in 1889 and is accordingly one of the oldest-established golf clubs in the British Isles. Golf at Waterville is a mystical experience - the beauty of classic links land, surrounded by the sea, yet forever challenged by the elements. You are eased into the course gently on the front nine before, heading into the larger dunes on the tough back nine.